Chances are, if you have been infected with the travel bug, you know your way around a GPS, whether it's a smartphone app or a mapping system hooked up to your dashboard. But when driving a bigger rig, like a Class-A Diesel RV, getting stuck at a one lane dirt road with trees overhead isn't an option anymore. At least not if you want to keep your paint finish and sanity. In this article we will review what we consider to be the best GPS for RV travel, and compare five options for your next trip to determine the right one for you. Traditional GPS navigators on a smartphone or dashboard mount are rarely designed with the RV driver in mind. When driving a large RV, there are weight and height restrictions that a regular car or truck would pass by without hesitation. Plus far more freedom to come and go between lanes without trying to weave 30 feet of vehicle through traffic. Whether you are a person who likes to go with the flow or are very attached to your map and your itinerary, the advantages of using an RV-specific GPS navigator will be clear. One of the most important advantages is being forewarned about the RV-specific services that your rig is going to need. Black water tanks need to be emptied, rest areas and campgrounds need to be pet-friendly if you have a four legged companion with you. And if roads have height or weight restrictions that bar your vehicle, you will not want to be trying to turn around without a backup camera or visual aid. 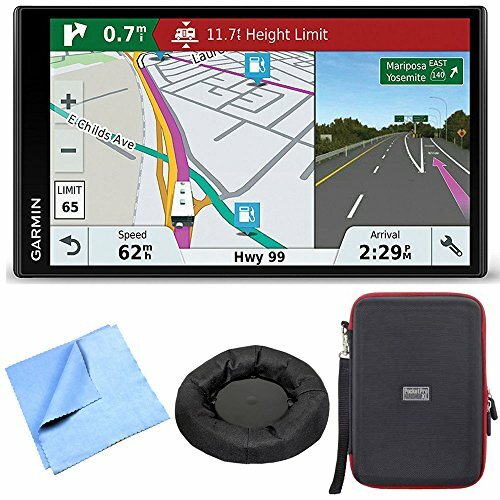 These RV-specific needs for RV specific GPS units. Fortunately the demand is such that there are many choices out there on the market. When shopping around, there are a few specific things that your navigator should have. The first is that it should allow you to enter the size and weight of your rig so it can let you know if there will be any restrictions on the road ahead. 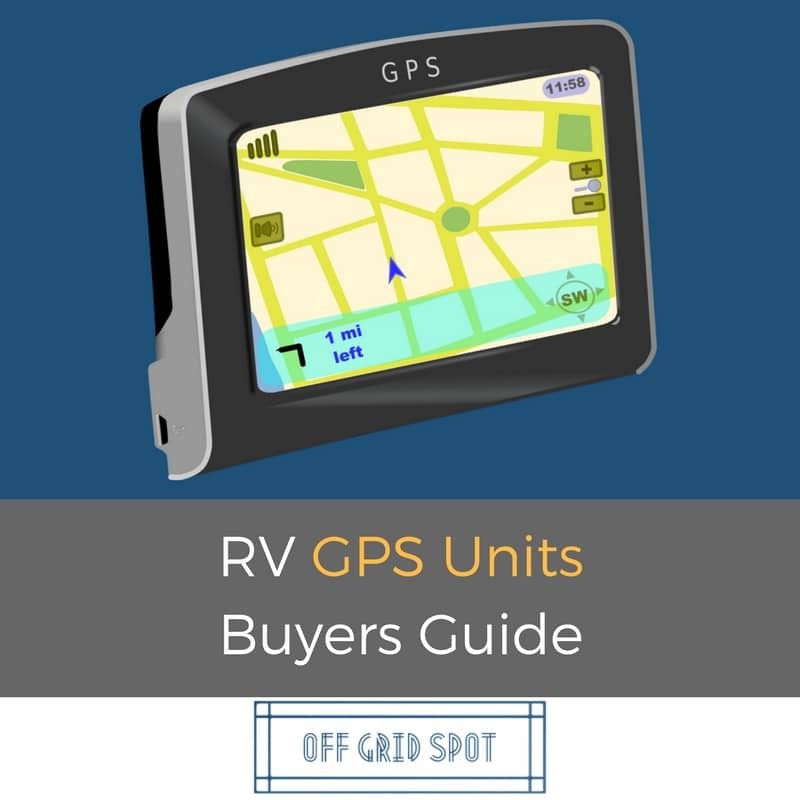 Fortunately, this is a fairly common feature across almost all RV GPS systems on the market, so you should be able to do so no matter which one you buy. The maps, and more specifically, how often they are updated, can be essential and here not all systems are created equal. 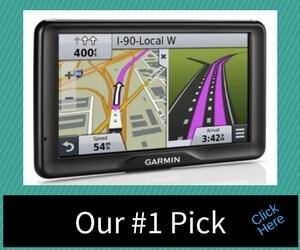 A few, such as Garmin, offer lifetime updates to their maps and the ability to download new ones from their website. Since destinations and road conditions are always subject to change, you will want to have the most up-to-date maps possible before setting out on your trip. This also goes for the points of interest (POI) options, which are a standard feature in almost every system. These can include campgrounds, gas stations, restaurants, and other essentials of your trip. The best systems will have the widest range of POI items, updated frequently, and easily accessed during your trip. Navigation also includes being able to use those exits. Since RVs cannot drift between lanes as easily as a smaller vehicle, it is important to know which lane to use ahead of time so you can move safely between them. Voice-over navigation and a large, clear screen are useful tools built into GPS systems so that you can continue to operate your RV in a safe, efficient manner. If you don't want to have this ﻿﻿sort of ﻿﻿RV exper﻿﻿ience, buying the right GPS for your rig matters. Consider the size of your RV. 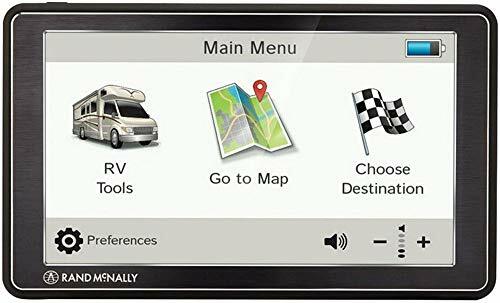 Larger RV have deeper dashboards, so you will need a larger screen size in order to be able to see it clearly when it has been mounted to the dashboard. Check the battery life of your model and the type of power source that it uses. Most can be connected with either a USB or cigarette port power adapter that can be plugged in while driving. But if for any reason that cannot happen, you may need to rely on battery power. Prices can be deceptive as well. One thing to consider is that a less expensive model may charge for maps every year. This can add up as you need to know which roads are under construction or which campgrounds and sites have changed or moved. The more updated your maps, the less likely that you will have a hiccup in the travel arrangements. So it might be worth spending extra on a system that includes free maps if you plan on traveling to completely new destinations on a regular basis. This tablet is a spin-off of the ones Rand McNally designs for their trucks. When connected to Wi-Fi it can tell you fuel prices, traffic information, and weather so you can be forewarned about upcoming deals on gasoline or inclement weather. It can also compare toll versus non-toll routes and give an estimated cost of the tolls on your journey so you can budget time versus price. It has a dash cam and is compatible with backup cameras. So even in the largest RV's you can still have a clear view of what is around you. It mounts on the windshield using suction cups, so it can be adjusted or removed easily. The 8 inch screen has high contrast for easy visibility on the dashboard. Includes specific details on which lanes are needed and when. Background information on points of interest and campgrounds is included with the navigation apps. Voice over audio can be difficult to hear against background traffic noises. The magnetic clip holding the suction cup can break off, causing it to fall. 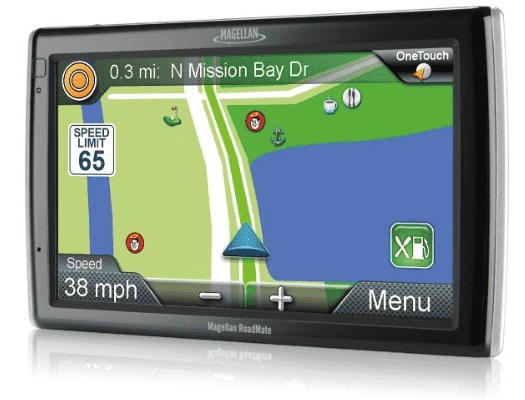 The RoadMate RV9145 by Magellan is a 7-inch, touchscreen navigator and part of the very popular Magellan RV GPS line. It has a built-in favorites menu, which allows you to save search history and favorite destinations from previous trips. It also comes with the complete listings of the Trailer Life Directory and Good Sam Club discount campgrounds. This is great for learning about new places to overnight along your journey. The listings include ratings and other valuable information, such as which sites allow you to bring your pets. The RoadMate RV9145-LM allows for customized RV descriptions to ensure you can reach your destination safely. You can pre-program multi-stop routes, or let the system choose the most efficient option. Highway Lane Assist will tell you which lane is best to be in while driving down major US highways, up to two miles before the exit. AutoSpell Feature can confuse cities and states when pre-programming routes. Maps are not necessarily up-to-date or appropriate for RVs for some areas. 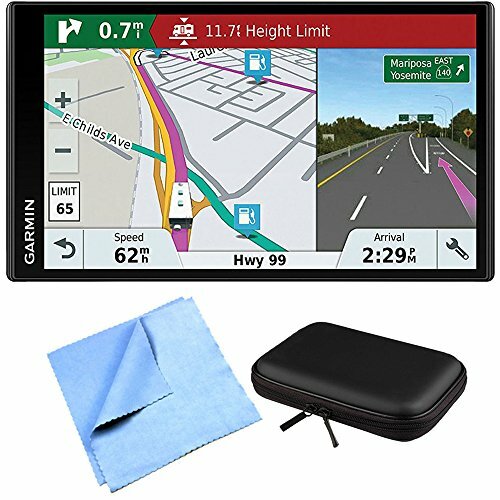 This Garmin Navigator has a clear 7" high-resolution touchscreen display and a white backlight for improved visibility. It can advise you of upcoming hazards such as narrow roadways, low bridges, and locate RV-specific services and the best gas stations coming up on your route. The voice-activated navigation is easy to talk to, and will allow you to adjust the route without taking your hands off the wheel. With this navigator, you can access a wide number of campgrounds and travel directories to find the right stops both before and during your trip. Navigation assistant can freeze in metropolitan areas. 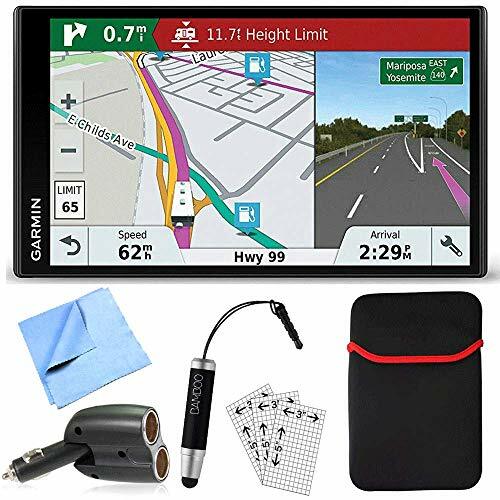 This one is an upgraded version of the Garmin RV 760LMT, with a wireless backup camera in case you accidentally drive your RV into a tricky situation. It includes Lifetime Maps with detailed descriptions of businesses, such as when they open/close. Real Directions which describe buildings and landmarks instead of street names (which can be hard to read while driving) and customized directions to avoid obstacles based on the dimensions of your RV. The backup camera transmits images up to 45 feet away, so drivers can clearly view cars and other obstructions behind them, which makes for stress-free driving even in narrow spaces. Backup camera gives a view of what lies behind the RV, including angles of approach when backing up. The 7-inch screen is easy to view throughout the dashboard, including the passenger's side. Lifetime maps and traffic updates included with the model, and also includes the information on campgrounds, businesses, and points of interest for a Garmin 760LMT. Voice over navigation and bluetooth microphone allow for hands-free usage, improving driver and RV safety. Co-Pilot is an RV-specific GPS apps for an Android or iPhone. Your view will be limited to the size of your screen, but it can be programmed with up to three alternative routes and give an RV-eye view of the road ahead. Including the best lane to be in for exits and off-ramps. You can program it with the size and type of RV and it will program a route with up to 50 stops. Including the ETA and points of interest along the way. Its paid featured include voice over navigation, 3-D mapping, worldwide maps, and traffic updates. It can be used on an existing smartphone or tablet and downloaded for both Apple and Android devices. Allows customization of vehicle specs for safety. Can pre-plan trips with gas stations, points of interest, and restaurants along the way. Screen size is limited to the device it is being used on, which may require a passenger to view and give directions. A subscription is required for common features including voice over navigation and traffic information. Mounting hardware would be sold separately for the device it is being used on. With any of these models you can have a wonderful trip and see the world more conveniently and safely from behind the wheel of your RV. However, of all of them, the clear winner of the roundup would be the Garmin RV 760LMT with Wireless Backup Camera. It shares many features with the non-backup camera version but with the camera included drivers will have a much easier time parking. The lifetime maps and updates will keep you on the road and reaching your destination successfully, no matter how long you own the device. 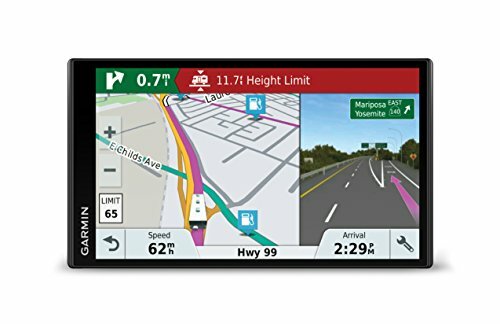 Finally, its large screen will be easy to view with its high resolution and image quality so drivers can be assured of where they are going, whether they are on the road or backing up into tight spaces.